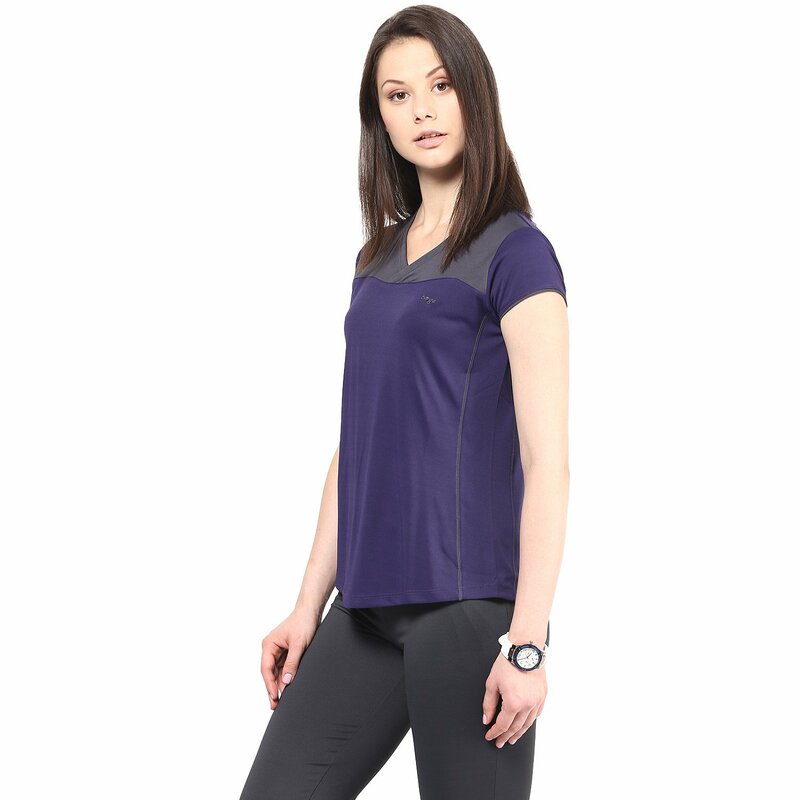 Made from a special moisture wicking fabric for quick drying as you sweat it out at the gym, for a long run or any sporting activity you choose.It is specifically designed to absorb moisture and dry quickly as you sweat it out in the gym or train for marathon. This T shirt doesnt stick to your body even after sweating and gives you fresh feel. 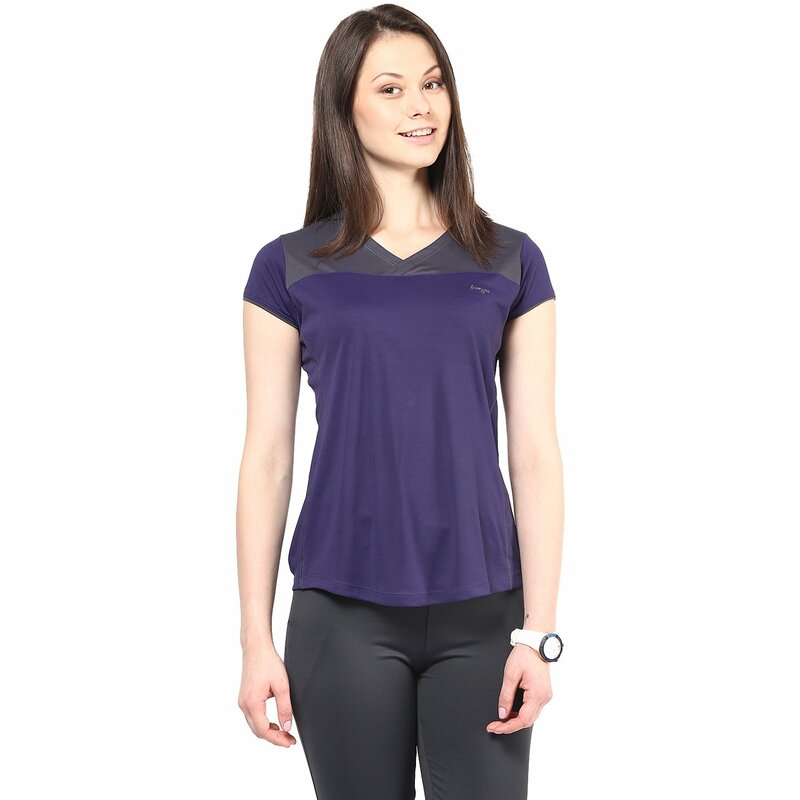 Berge Indigo Ladies Cross V Neck T Shirt.This t-shirt adds an instant wow! factor to your presence. It is a special detailing design t shirt with contrasting colour that matches it's highlights on it's sleves and it's side pipings. Made from a special moisture wicking fabric for quick drying as you sweat it out at the gym, for a long run or any sporting activity you choose.